No man is an island — and neither is any industry. While leadership will naturally emerge, and some innovators rise to prominence ahead of others, the only way for actual growth to occur is through an exchange of ideas. Competition is healthy, but collaboration is necessary. From the opening keynotes on, speaker after speaker at MWS17 came back to a discussion of the journey. While there was a look back at how each participant came to be where they are today, more focus was placed on what lies ahead, and how to get there. The way forward is clear, in that attention must be paid to each step along the digital journey, and who to join up with along that path. 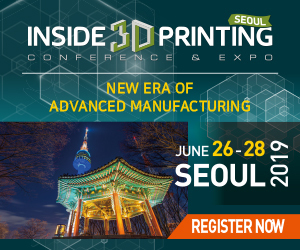 “We are open to collaboration with all the key players as we are certain we can bring 3D printing to a broad variety of applications either through our software or our services,” Materialise CEO and Founder Fried Vancraen said in his opening keynote, setting the tone. In virtually every presentation, partnerships were discussed and their importance to future success underscored. Philippe Laufer, CEO, CATIA, Dassault Systèmes, noted work with a “big network of partners” and his company’s work with customers/partners across 12 industries. Gil Perez, SVP, IoT and Digital Supply Chain, SAP, discussed the importance of partnerships as SAP and UPS work closely together on their growing Early Access Program, and touched on the announcement to be made today at Hannover Messe of the official launch of SAP Distributed Manufacturing. Perhaps nowhere during the entire MWS17 event was the theme of partnership more prevalent than during the special evening event Materialise hosted at Concert Noble for all attendees. Throughout the first day of the summit, a major announcement had been teased, with Materialise representatives dropping vague hints about something very big to come. In the course of the evening, a fairly in-depth bit of theatrics ensured as several of the company’s executives — and the Materialise Lovely Hearts Club Band — put together quite a production in presenting the all-new, very exciting Materialiser 0.1. What was the system? A 3D printer? Artificial intelligence? No, and no. It was said to work with one element alone: time. As the terribly dramatic and musical unveiling ultimately presented, the Materialiser 0.1, the biggest announcement the company could make, the awe-inspiring, all-encompassing great big deal, was… us. All of us. The partners and participants in the industry were highlighted in the announcement, as CEO Fried Vancraen opened a great big, empty box that could not contain the excitement. Behind him and the team flashed the logos from attendees at the World Summit (you can see an especially familiar logo in the bottom left of the unveiling image here). The biggest announcements being made today are indisputably about partnerships and collaborations, as the biggest strides forward are being made through efforts made in tandem with carefully curated collaborators. As the biggest names in the game work together and smaller, newer innovators team up to bring resources to those positioned to best utilize them, partnerships and partnered developments are making waves across the industry. With new collaborations being announced at a steady clip lately, it’s no surprise that this is becoming a regular focus at industry events. As additive manufacturing continues to grow as an industry, it will be interesting to continue to watch what arises in terms of partnerships. Kindergarteners are often taught that ‘sharing is caring’ and that lesson seems to be beginning to stick in business as well, as developments are made through teamwork. Sometimes with a bit of theatrics thrown in. Partnership future so bright Materialise execs have to wear shades. Share your thoughts about the place of collaboration and co-creation in 3D printing in the MWS forum at 3DPB.com.